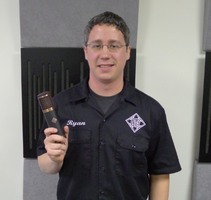 Audiofanzine met up with Ryan Loftus ─ engineer at Telefunken Eletroakustik ─ to talk about the high-end microphones the company manufactures. What's your job at Telefunken? I am a Design Engineer and I work together with another person who does the same as me. We run some series of tests on the capsules and transformers to make sure that everything works all right. We also work on the development of new products, we try new capsules, new amplifying circuits... Our job consists of taking a prototype we love and turning it into a product that we can mass-produce keeping the same sound, the same manufacturing quality. How many new microphones do you introduce every year? About two per year. But the research and development can take more than two years. We started to work on the M82, which is the latest microphone we released, well over two years before it came out. We started by analyzing all kick drum microphones in the market to try to understand what makes people chose some over the others. And we took it from there to design our microphone. Do you ever modify and improve some of the microphones you already have in your catalog? We always start with spare parts that we have available, we have samples and prototypes that never made it to production stage. For the M82, we took the upper structure of the U47, but instead of using it as side-address we use it as end-address, the capsule is pointed towards the top instead of the sides. That was the starting point for that microphone. We tried different capsules we had at hand to understand what type of capsule we really needed. Can you tell us how Telefunken Elektroakustik was born? "Telefunken" is the name of a company established in 1903 that made lots of things around wireless communication, radio... They manufactured especially preamps, tubes and microphones. 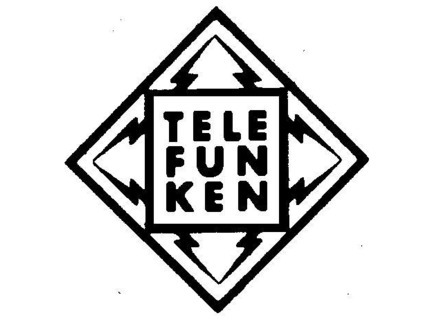 "Telefunken Elektroakustik" was born in 2000 under the brand "Telefunken North America" and then "Telefunken USA." We started by recreating spare parts to replace those of vintage microphones, like the polarity switch for the 251, or plastic parts that inevitably deteriorate. We restored vintage microphones. When we learned that the Telefunken name was not used in North America, we registered it and started to do reverse engineering on the 251 in order to see how it was made. That took us about two years, then we recreated all parts that weren't made anymore, like the grilles, the plastics, etc. In 2008, after we had been manufacturing our microphones for six years, we were contacted by Telefunken in Frankfurt, Germany. They told us that they really liked what we did and wanted us to become the professional audio division of Telefunken worldwide. That's when we became Telefunken Elektroakustik. What was the main goal of the company? The first goal was to recreate legendary vintage microphones without any compromises, both internally and externally, with the exact same sound. We started with the ELA M 251 E, the U47 and the C12, which correspond to the Diamond series in our catalog. The problem is that the prices are very high, so we developed the R-F-T series, which includes the AK-47 MkII, AR-51 and CU-29. What's the profile of your clients for these two series? Quite a few renowned artists, clients who love high-end products, studios who may have the original microphones and want to compare them. Very soon we started to have a lot of fans of our work. As for the R-F-T series, the customer base is obviously larger, we have more home-studio owners and budding sound engineers. You mentioned the C12, which is still on the AKG catalog, but your version is cheaper. What are the main differences between yours and theirs? The C12 that we manufacture is a prefect replica of the one made by AKG in the 1950s. Back then, due to the technology, they had a lot of problems to correctly manufacture the CK12 capsule, which is used in the microphone, so they had a lot of waste. That's why they changed the way they made it. The current C12 is a good microphone, but the circuit is different and different things have evolved throughout the years. Ours is an exact replica of the one made in the '50s. Did you have the same problems as they did back in the 1950s? In the beginning, we had the same issues because we wanted to recreate the CK12 capsule. We had to learn from our mistakes, find the exact tuning frequency, the perfect voltage... We have been manufacturing this capsule for over 10 years now and we have reached a success rate of almost 100%, and even if something isn't done correctly, we can fix it easily. Do you think you'll ever build something other than microphones, like preamps, headphones or monitor speakers? Yes, we've thought about that. We consider all options that present themselves. Recently we started to sell tubes under the name Telefunken, which is a good idea, given the history of the brand. We are working on preamps and headphones, even if we are at the very beginning of the process. These are big markets and we expect to extend our line of products in the coming years. Why do all your microphones use tube technology? There was no choice with the first microphones. 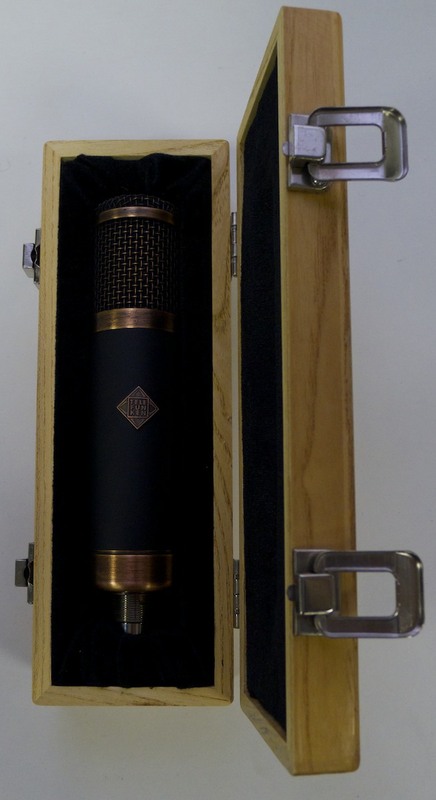 In the '70s, the FET became popular and people started to sell their own tube microphones. Some time later, people started to appreciate again the sound of the tube microphones you can hear on many '60s records. 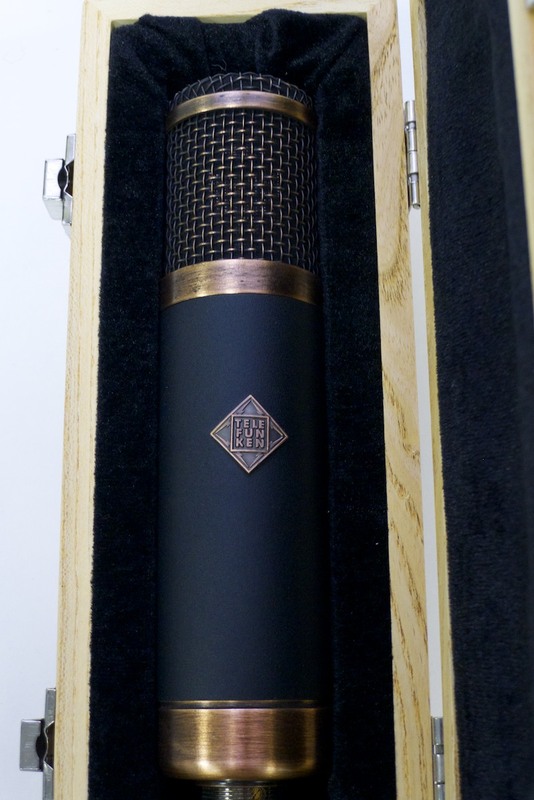 We love tube microphones because they are warm, they are more musical than FET microphones. Do you plan to market a FET microphone? Yes, we'll be introducing a small-diaphragm FET microphone, very similar to our 260 tube microphone, by the end of the year. It will be called M60. What are the main differences between the Diamond and R-F-T series, both in terms of sound and build? 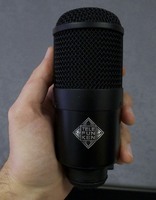 Our three microphone series, the dynamics, the Diamond and the R-F-T are manufactured by us in Connecticut. Everything is assembled and soldered by hand. For the R-F-T series, certain circuit parts, the transformers and tubes, are the same as on the Diamond series. We wanted to economize on anything that had no impact on the audio, which means some metal pieces of the body are made elsewhere, in Asia. 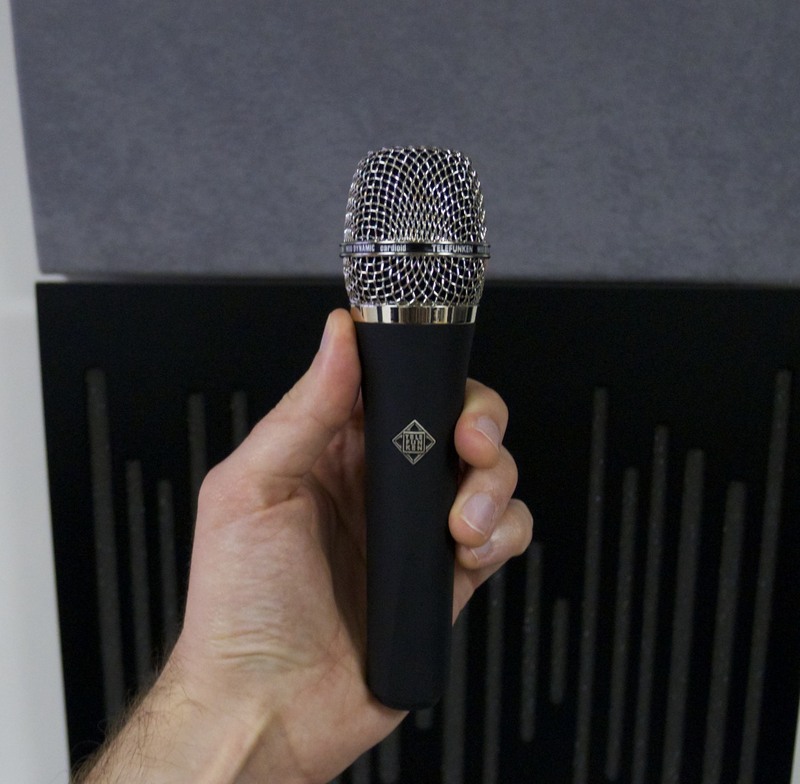 For the Diamond series, we make everything ourselves, including the microphone body and all metalwork. All capsules and tubes are tested, all microphones meet the same requirements, regardless of the series, and that's something we are proud of. The Diamond series faithfully recreates well-known microphone models, while the R-F-T seems to respond to more original designs. Do you plan to introduce more affordable versions of the C12 or U47? That's sort of what we did with the R-F-T series. We took certain parts of the circuits and elements of the Diamond microphones to use them on the R-F-T. For example, the AR-51 uses a new old stock ECC81 tube, a T14 transformer and an amplifier that are identical to the ones used for the C12 and 251. The difference has to do more with the assembly of the capsule. We didn't want the AR-51 to be a cheaper version of the 251, but rather a variation. Similarly, the AK-47 MkII uses the same amplifier and output transformer as the U47 and it has a K67-type capsule. Why are dynamic microphones less expensive than condenser ones? There are fewer tests to be made, regarding tubes, for example, even if we test capsules in the same way. The assembly is faster, there are less pieces and, since the circuit is passive, it's easier to intervene to correct a problem. When it comes to packaging, tube microphones require their own cable, power supply and suspension, while dynamic microphones are supplied as is. Speaking about cables, which ones do you recommend? Is it really necessary to spend a lot of money on a cable? It's useful to buy good quality cables. Our tube microphones are sold with their own 7-pin cables to connect them to their power supply. We work with an American cable manufacturer and we market two types of 3-pin cables: The Stage series for live applications and the higher-end Studio series, with shielding and Neutrik connectors of the best quality. We love our cables, but there are plenty of other good cables on the market. Do you plan to manufacture ribbon microphones? In 2006, we entered into a partnership with another company and released a ribbon microphone, which we distributed for about a year. That went well for us, but it wasn't our market at that moment, so we stopped. Right now it's not in our plans to manufacture a new ribbon microphone. Usually, standard microphones are old models, like the U47, the C414 or the SM58. Why is the market so conservative? It's an interesting market where people need some time to understand your microphone. To understand what's different about it, how it should be used... When we brought out the M80 in 2008, we had a lot of reviews and many happy users. It sells well, but it took about a year and a half or two years for the sales numbers to really take off. The live market is very different from the studio market. Live, you need reliability because you don't have any time to waste. Once people got used to the M80, lots of people working live started to demand that microphone. Does current technology allow to make better microphones than 60 years ago? Yes, in a certain way. But it's amusing to see some people still going after microphones conceived in the '50s. You can do lots of interesting things today, but we maintain a traditional approach involving craftsmanship. Tube technology is nearly 100 years old. Do you plan to make new microphones using modern technologies? We use interesting things for the circuit of the upcoming M60, with a FET that we selected due to its excellent signal-to-noise ratio and a very low distortion. That wouldn't have been possible some years ago. But we still maintain a traditional approach, unlike other manufacturers who offer digital solutions, for instance. Now that you mention it, what's your opinion on digital microphones? I think they are pretty good for their task. The USB microphone market is in full expansion and there are interesting things in the professional category. Do you think that's the future of microphones? I think there will always be a place for old-school tube microphones. I think there is something inherent to the human ear that has a natural tendency to love the tube sound — harmonic distortion. The same happens with guitar amps and their big transformers, that natural compression, that response to transients. Digital microphones can be very proper and clean, but they can sometimes lack character, at least some of them. In your opinion, should a microphone be transparent or provide some sort of color? Both. For certain applications you need transparent microphones: If you have a superb room, a nice vocal or a magnificent instrument and you want to capture exactly what you hear. But if you want to add some character to it, a certain color... The goal is to portray the music you capture in the best possible way. Would you say Telefunken products are more in the category of microphones that provide some color? We have both. The U47 is well-known for its extended frequency response in the low end and it excels for certain jazz and soul vocals. The C12 or the AR-51 are more correct, with a more open sound that doesn't color sound that much. We are glad we can offer both. Can you talk a bit about the differences between the M80, M81 and M82? We brought the M80 to market in 2008 and it was conceived to be our "premium" vocal microphone. It is also very good on snare drums. It has an extended frequency response in the lows and a big output level, plus it is not very sensitive to the bleed of other instruments. Its presence peak suits vocals well. The M81 features the same capsule and transformer, but it doesn't have this presence boost, it has a more linear and flat frequency response. It is very good for instruments, guitar amps and brasses. There's also a shortened version for toms. And we have a drum pack together with the M82 for kick drum. The latter can also be used for broadcast vocals. It has a "Kick EQ" switch, which attenuates around 350 Hz, to avoid having a boxy sound, while preserving the low and high end. The Hi-Boost switch allows you to have a more modern kick drum sound, with more beater. For broadcast you have a presence boost that is perfect for vocals. The upcoming M60, which I mentioned before and will come out at the end of the year, will be perfect for overheads to complete the whole set. Are you interested in the entry-level market and why don't you manufacture outside the US? That's what's happening in the audio market right now. Below a certain price point, it's impossible to do it all internally. We can't lower the price of the CU-29 if we want to continue manufacturing it in the US and maintain the same quality. We can bring down the costs by outsourcing the manufacturing of some of the metalwork. We do not want to entirely relocate the manufacturing of a microphone, not even for the dynamic ones, like the M80, which is fully assembled, soldered and tested in our facilities. We believe it's important to keep the quality control internally. If you manufacture abroad, you don't have the same control.